Update, 9:12 p.m., April 12, 2017: Hortis died early morning on April 9 following being transported to a nearby hospital after being shot by Wilson on April 8. 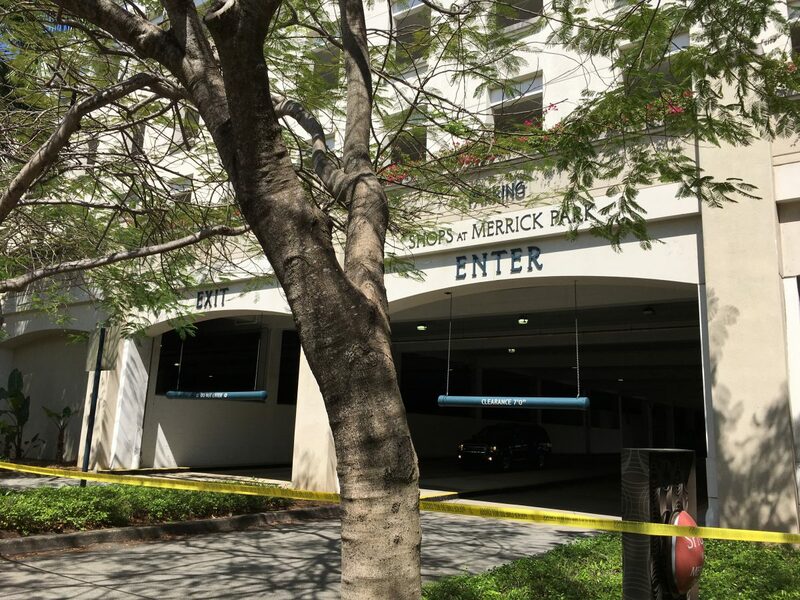 A gunman shot two people at the Shops at Merrick Park in Coral Gables early afternoon Saturday, leaving one dead and another injured before turning the gun on himself. According to the Miami-Dade Police Department, at approximately 12:55 p.m., shots were heard inside the mall coming from the second floor. The shooter, identified as Abeku Wilson, 33, was an ex-employee of the Equinox fitness center inside of the Shops at Merrick Park. Coral Gables Police Department Officer Kelly Denham said the shooting took place inside of the gym and “was not an active shooter” situation but rather a targeted incident. According to The Miami Herald, Wilson shot and killed the gym’s general manager, Janine Ackerman, 35, and wounded fitness manager Marios Hortis, 42, before killing himself. Hortis later died at the hospital the following day, April 9. Social media accounts for Wilson say he attended the University of Miami in the past. UM student Gabby Rosenbloom was at the Shops during the shooting to advertise a show for the UM theatre department when she and her friend saw people running. Rosenbloom said that around 1 p.m., the owner of Janie and Jack, a children’s clothing store, told them to get inside the store and seek shelter. She said herself, three of her friends, the store’s two owners and three patrons including two children remained in the storage room in the back of the store. “As freaked out as we all were, we tried to keep calm for the two little girls. It was sort of comforting to have them there because in having them there it sort of distracted us,” she said. At 1:59 p.m., police officers escorted Rosenbloom and the rest of the civilians inside the clothing store down the escalators and to a holding area. “We were very lucky. I never thought we would end up in a situation like that,” Rosenbloom said.